Not long ago when Franco ruled Spain, you could travel the world in comfort with an Iranian passport. I even know of one native Italian who in the ’60s, liked to be known as an Iranian rather than an Italian. Today, some of us try to avoid the subject as much as possible, for various reasons. On four occasions here in England, people have wanted to fight with me, just upon hearing that I was Iranian. So I now avoid the subject in public places, and at other times it has been a complete conversation stopper. People will talk to you happily until suddenly they find out you are Iranian. “Oh! You hate Westerners, don’t you?” “Do you belong to any terrorist groups?” and “What about Salman Rushdie? Would you kill him?” are just a few of the 1,001 questions you and I have been asked. 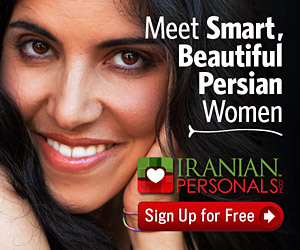 Despite these drawbacks, I continue to tell people that I am Iranian. Why? Because I am innocent of the allegations people present to me. Because I don’t believe in wars. Because I haven’t killed anybody nor do I have any intention of doing so in the future. And neither does any other Iranian I know. Some of us may have tried to avoid the issue altogether because we do not want to be associated with the bad images the TV and media have given to Iran or get into seemingly endless political conversations. Hence the easy option has been to declare a different nationality and for many others it has been Persian or Aryan, followed by days of explanations about the rich Iranian culture and history, in order to try and set things right. The only way we can make the world aware of our real culture and nature is by being Iranian. Yes, it is hard and many of us have a non-Iranian passport now and we don’t live in Iran anymore. But at that is where our roots lie. The less we avoid the subject and the more we make others aware of the good things about our culture, the easier it will be for our children to live and grow up in other societies. After all, if you are a hospitable, kind and educated person, why credit another country, when the real credit goes to your country? I have now spent more than half of my life outside Iran, in various countries and the thing that frightens me the most is that I do not feel at home anywhere and I do not know where I am finally going to settle down. But one thing I am sure of is that I am Iranian by culture, and one search for the word “Iran” on the Internet, in encyclopedias or in museums makes me more proud that I am Iranian.